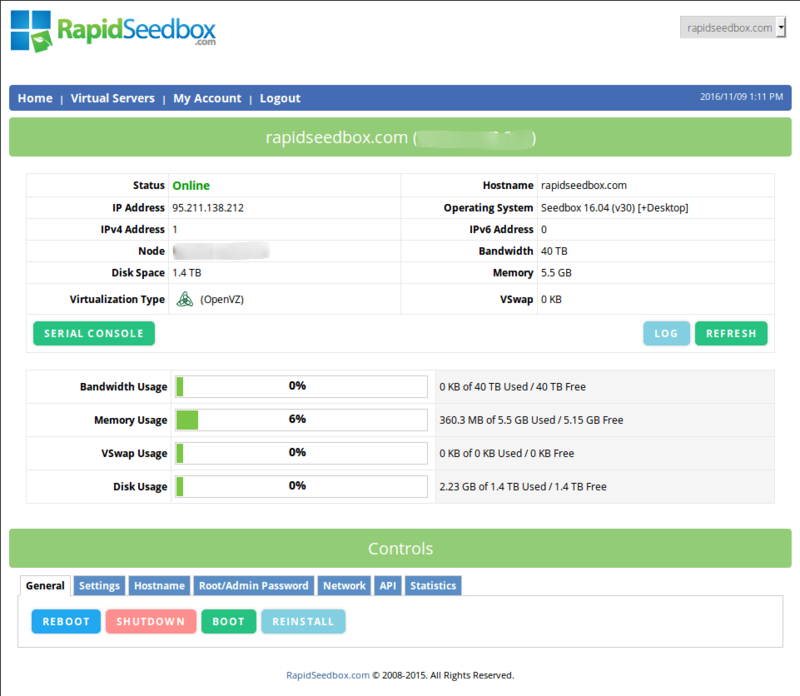 Our Seedbox Control Panel is used for performing various operations, monitoring of your Seedbox. In this tutorial, we will teach you how to use it for your own convenience. We provide the login details to it together with the credentials for your service when you make an order. You can access your control panel by navigating to the link found in your Welcome email. Login window will be displayed (see picture below). Note: If you enter wrong credentials for more than three times, our System will blacklist your IP due to the prevention of Brute-force attacks. Our system removes your IP from the blacklist in 15 minutes from the last attempt so please be patient or otherwise reboot your router to have a new IP address allocated. 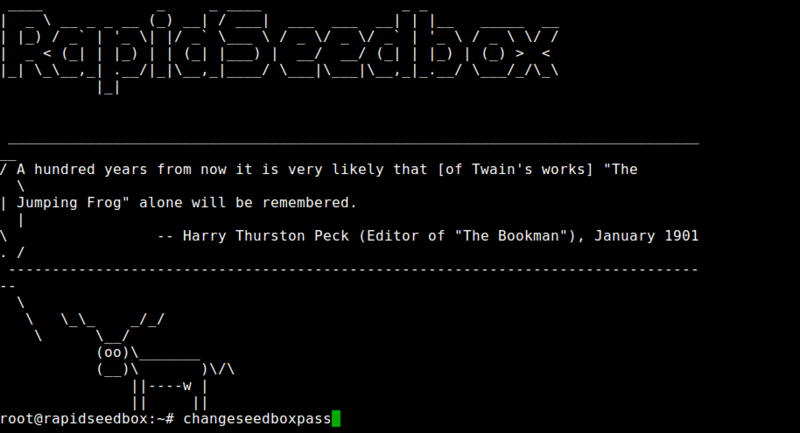 This menu is dedicated for updating your Seedbox services, so let’s start explaining! Enable TUN/TAP so you can establish an OpenVPN connection. 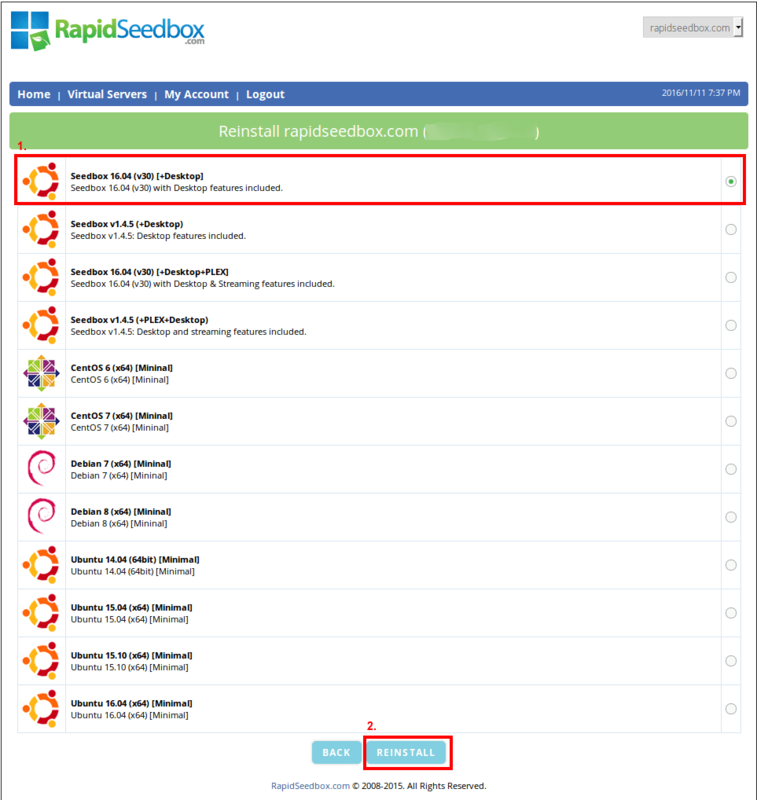 This option will set a new Hostname for your Seedbox. If you’ve forgotten your SSH/Root password, use this option to update it. Here you can select a Time Span for your Seedbox usage, it will show a nice graph with traffic statistics. How to reinstall your OS Template? In Controls section under the General tab, you can find an option for Reinstalling. CAUTION: REINSTALL WILL WIPE ALL OF YOUR DATA, SO BE SURE THAT YOU HAVE DONE A BACKUP ON YOUR LOCAL OS! For our latest template, select Seedbox 16.04 (v30) [+Desktop]. Our Stream, Rapid & Furi clients can use our Seedbox 16.04 (v30) [Desktop+ Plex] with Plex preinstalled. Alternatively, if you want to build your own Seedbox, you can select some of Minimal templates which provide a basic set of tools to work with it. Reinstallation process will take around 5 minutes, so please be patient. You can check the status by pinging the IP of your Seedbox. Select All so all user passwords will be updated. It will take around 10-15 seconds for a script to execute, after it is done, all your passwords are set.